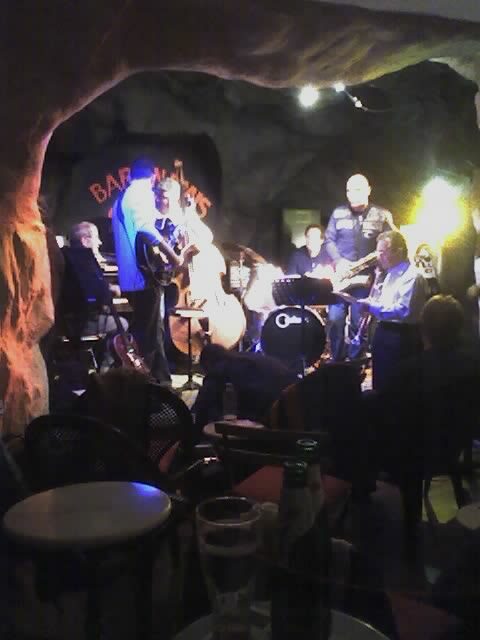 We went to a small jazz club in Antibes called Bar en Biais to hear our friend, Hank Nobra, jam with some other local musicians. It’s a small, intimate, cave-like setting reminiscent of the New York and Paris jazz clubs of the 1950’s. The owner of the club, a contre-bass player, asked Hank to come and sit in with about a dozen other musicians for an evening of improvisation. Hank is a well-known local jazz pianist who often mesmerizes his fans at the Bar en Biais. How can I get a schedule of who will be playing at Bar en Biais?